Although officially called Pentrecourt Platform, the two running-in boards showed Pentrecourt Halt, as did tickets. Timetables always showed Pentrecourt Platform. carriages. In fact, nearly three hours were permitted for the 56-mile journey between Carmarthen and Aberystwyth. 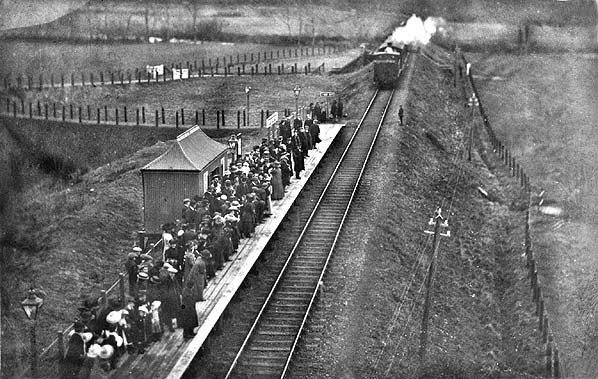 Crowds gather on Pentrecourt Platform to greet the first train into the station on 1 February 1912. 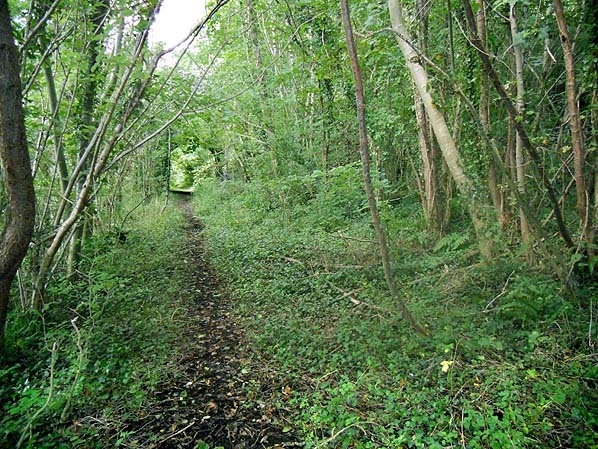 Note the raised access path that links the platform to a fishermen’s path from the road to the River Teifi. This 1906 1:2,500 OS map does not show the platform as it opened in 1912. It has been added to the map to show exactly where it was. The woollen mill, which was one reason for opening the platform, is seen bottom left. 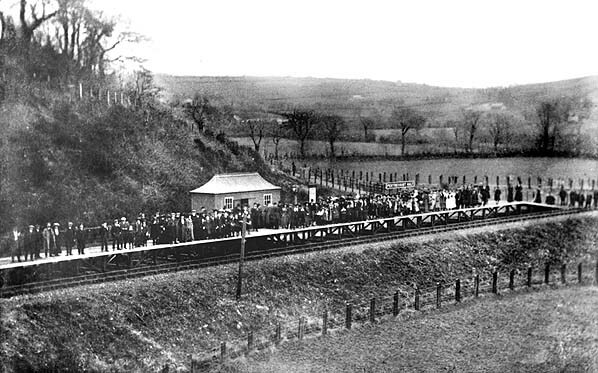 Crowds gather on Pentrecourt Platform to greet the first train into the station on 1 February 1912. Pentrecourt Platform looking east from a passing train in September 1952. 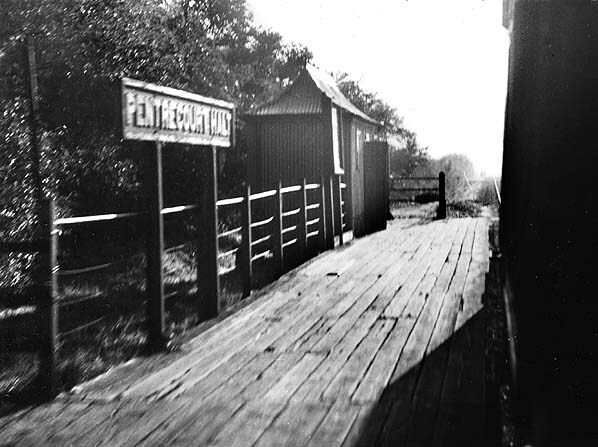 Although the official name was Pentrecourt Platform the running-in boards show Pentrecourt Halt, as do tickets. Timetables, however, show the name correctly as Pentrecourt Platform. 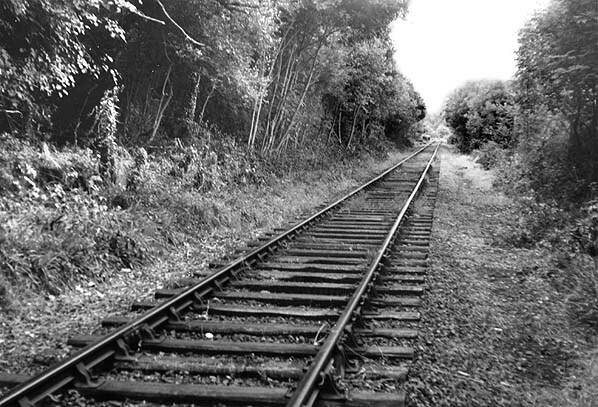 Looking east from the site of Pentrecourt Platform in August 1973. the track remained in use until September that year. Looking east along the line of the platform in November 2010. 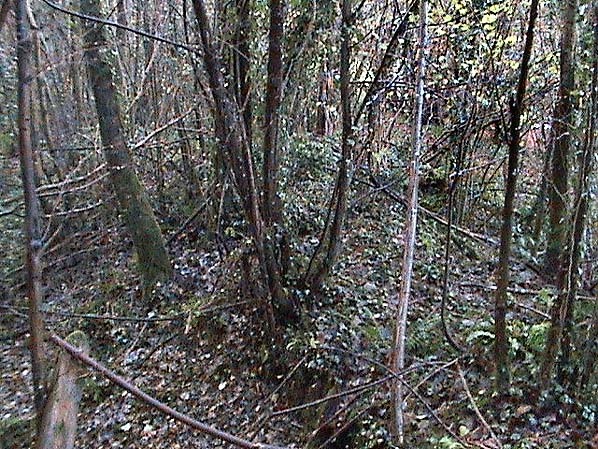 Some of the fencing at the back of the platform can still be seen. Looking west from the site of Pentrecourt Platform towards the road bridge in September 2012; the platform was on the right.